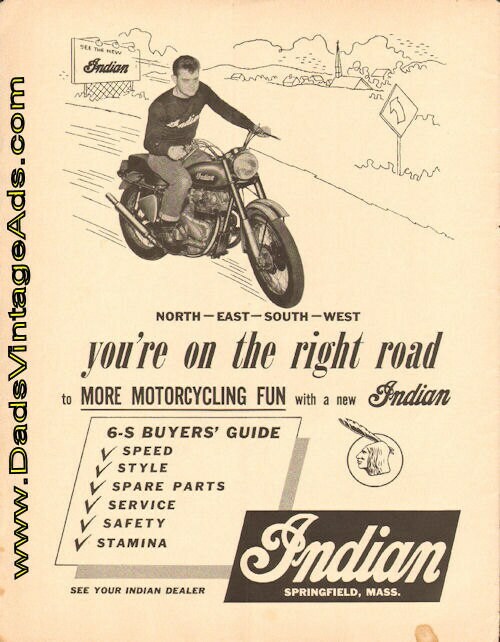 North, East, South, West, you're on the right road to more motorcycling fun with a new Indian. 6-S Buyers Guide - Speed, style, spare parts, service, safety, stamina. 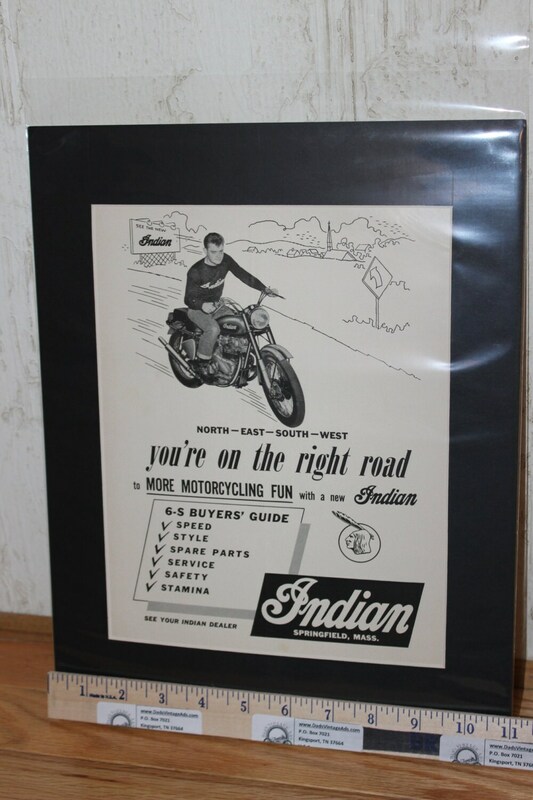 Indian, Springfield, Mass.